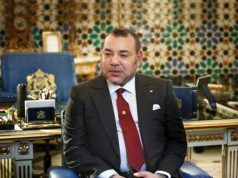 Rabat - King Mohammed VI delivered a speech before the members of the Parliament's two houses, the House of Representatives and the House of Advisors, at the opening of the first session of the second legislative year of the tenth legislature. 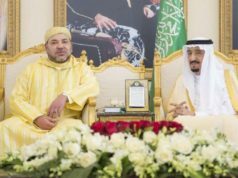 Rabat – King Mohammed VI delivered a speech before the members of the Parliament’s two houses, the House of Representatives and the House of Advisors, at the opening of the first session of the second legislative year of the tenth legislature. It is with pride and joy that I address you, once again, as I do every year, on the occasion of the State Opening of Parliament. This Parliament Session follows on the heels of my State of the Nation Address, in which I mentioned some of the difficulties and shortcomings noticed in our development model, with regard to administrative services, across the board, as well as elected councils and local governments. However, that critical analysis, which the current situation calls for, is not an end in itself. In fact, it is the beginning of a crucial stage in which the holding public office is linked with accountability, and during which appropriate answers and solutions to citizens’ pressing problems and issues must be found. I do not criticize just for the sake of criticizing, nor do I let matters go unattended. What I want is for the situation to be addressed, mistakes corrected and shortcomings remedied. I am paving the way for an effective approach and for a March of a new kind. What I am doing is at the heart of my constitutional powers. It reflects my strong determination to press ahead with the reform process and to lead by example, for those who are in charge of public affairs. As the guarantor and custodian of the rule of law, and the first person to respect it, I have never hesitated to hold to account anyone who has patently underperformed while carrying out his or her professional or national duties. However, the situation today commands greater firmness in order to put an end to complacency and to disregard for citizens’ interests. The problems are obvious and the priorities clear. No further diagnosis is required. In fact, the situation has been abundantly analyzed. On many occasions, we have taken stock of the reality on the ground and of the magnitude of the shortcomings, which all Moroccans are aware of. Is it not true that good implementation of the development projects that have been planned and launched is what is required? Is it not a fact that we have to find practical, applicable solutions to the real problems, and fulfil the reasonable, legitimate expectations of citizens in the areas of development, education, health, employment and so on? At the same time, we have to make sure that there is judicious, continuous monitoring of the progress made in the implementation of social and development programs, and that we carry out systematic, impartial assessment throughout the implementation phases. To this end, I have decided to create a ministerial department, within the Ministry of Foreign Affairs, in charge of African affairs – especially investment – as well as a monitoring unit, both at the Ministry of Interior and the Ministry of Finance. I also call on the Court of Auditors to monitor and assess the implementation of public projects in all of the Kingdom’s regions. 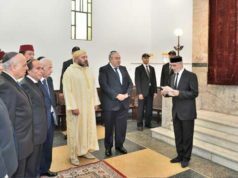 Moroccans today need balanced, equitable development which ensures dignity for all, guarantees income, provides jobs – especially for our young people – and contributes to building confidence, promoting stability and ensuring integration into professional, social and family life, a goal to which all citizens aspire. They also want health coverage for all, easy access to quality medical services and their dignity to be preserved. Today, Moroccans want a good education for their children – one that does not simply stop at reading and writing. They want an education that guarantees integration into the knowledge and communication-based world; an education that gives access to the job market and contributes to individual and collective advancement, instead of producing large numbers of unemployed people. Moroccans also need a fair and effective judiciary. They want an efficient public service that caters for the needs of citizens and serves public interest; a public service that promotes investment and fosters development, without any form of bribery, cronyism or corruption. 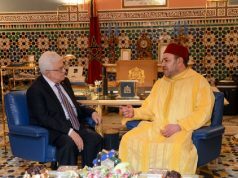 Although Morocco has made tangible progress, which is recognized throughout the world, we have to admit that our national development model no longer responds to citizens’ growing demands and pressing needs; it has not been able to reduce disparities between segments of the population, correct inter-regional imbalances or achieve social justice. In this regard, I call upon the government, Parliament and all the institutions and organs concerned – each in its respective fields of competence – to reconsider our development model in order to keep abreast of changes in the country. As far as our development model is concerned, I should like to see an integrated vision that gives it fresh momentum, that helps overcome the hurdles impeding its adjustment and that addresses the weaknesses and shortcomings revealed by past practices. Using a participatory approach similar to the one we adopt on key issues, such as the amendment of the Constitution or advanced regionalization, I call for all national stakeholders, committed actors and the nation’s driving forces to be included in this endeavor. I also recommend objectivity and calling a spade a spade, without flattery or embellishment. I call for innovative, bold solutions, even if that means going into uncharted territory or causing a political earthquake. I want this to be a collective national pause to address issues and problems that are troubling Moroccans. I want it to foster awareness of the need to change mindsets that stand in the way of achieving the comprehensive progress to which we aspire. I am keen to follow up on this matter and look forward to examining the proposals and measures that need to be implemented for this new development model to be produced. Regardless of how thorough and full-fledged it is, a development model will remain limited in scope if it does not comprise effective mechanisms that allow for evolution at local and regional levels. For this reason, I have been calling for the full implementation of advanced regionalization to be speeded up because that system provides solutions and fulfils social and development expectations in all of our regions. Regionalization is not just about administrative regulations and procedures. It also involves far-reaching changes in state structures as well as a practical approach to local governance. This is the most effective way to tackle local problems and respond to the demands of local populations since it involves listening to citizens and including them in decision-making, especially through their representatives in elected councils. I realize there are no ready-made solutions to the problems encountered in the various regions. However, I insist on the need to ensure that public policies address the concerns of citizens, in the light of the needs and specific features of each region. To make the management of local public affairs more efficient, I wish to emphasize the need to assign qualified human resources to regions and to provide them with sufficient financial resources, in addition to ensuring the devolution of powers. In this regard, I ask the government to establish a timetable for completing the implementation of advanced regionalization. I also urge elected councils, particularly at regional level, to shoulder their responsibility when managing affairs in their regions, and to take action to respond to the needs of local populations and answer their legitimate demands. I also call for the preparation and adoption of an advanced administrative devolution charter, which I have long been advocating, and for a precise timetable for its implementation to be set. 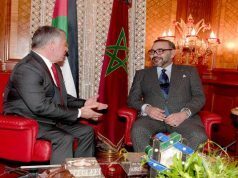 Regrettably, the progress witnessed in Morocco does not benefit all citizens, especially our young people, whom I care deeply about and who account for more than a third of the population. The proper training of young Moroccans and their active and constructive involvement in public life are among the most important challenges that ought to be met. I have emphasized, many a time, including in my address on 20 August 2012, that young people are our real asset. They need to be seen as the engine of growth, and not an obstacle to it. As a matter of fact, societal developments in Morocco have made young people important new players with a significant impact on public life. Despite the efforts made, I do not consider the situation of our youths to be heartwarming – and neither do they. Indeed, many young Moroccans are suffering from exclusion and unemployment; many have dropped out of school and many are even deprived of basic social services. The education and training system does not fulfil its role in terms of training young people and ensuring their integration into society. Although they focus their attention on young people, social and sector-specific public policies have only a limited impact on the situation of young Moroccans because of a lack of efficiency and coordination, and because programs are not suited to all youth groups. Given the close link between youth issues, economic growth investment and employment, addressing the concerns of young people requires innovative action and concrete projects that unlock their potential, provide them with jobs and a steady income, offer them stability and enable them to contribute effectively to their country’s development. A case in point is the situation of young people working in the informal sector. Realistic solutions are needed in this regard. They do not necessarily require substantial material resources, and yet they would offer young people the means and opportunities to work legally. Both our young people and society would benefit from this. I call for the development of a new integrated youth policy – similar to the National Initiative for Human Development – that would be based primarily on training and employment. It should be effective in terms of finding realistic solutions to the actual problems plaguing our youths, especially in rural areas and poor suburban neighborhoods. 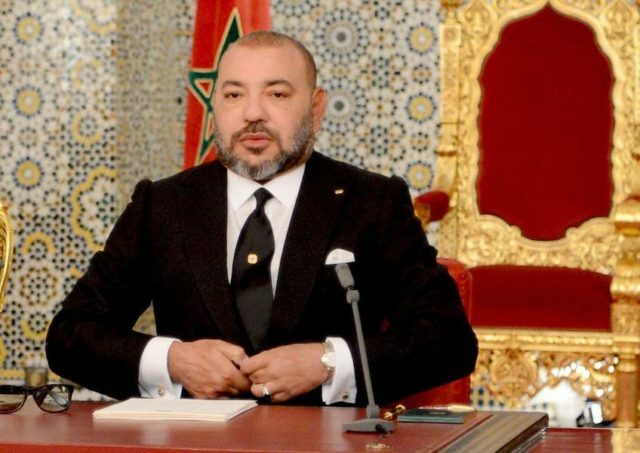 To ensure the efficiency and success of this new policy, I recommend that inspiration be drawn from the provisions of the Constitution, that young people be able to voice their concerns, that different intellectual trends be reflected and that the findings of the reports and studies I ordered be built upon, particularly the ones on “Morocco’s overall wealth”, the “Education and Training Vision for 2030” and so on. As part of the measures to develop and adopt that policy, I call for the Advisory Council for Youth and Community Action to be rapidly set up as a constitutional institution and as a forum for discussion, for expressing views and for monitoring youth affairs. The shortcomings plaguing the management of public affairs are not inevitable. It is not impossible to overcome them, provided there is a sincere will and good use is made of the means available. This is a matter that lies with you as members of Parliament, as public servants and as elected officials. 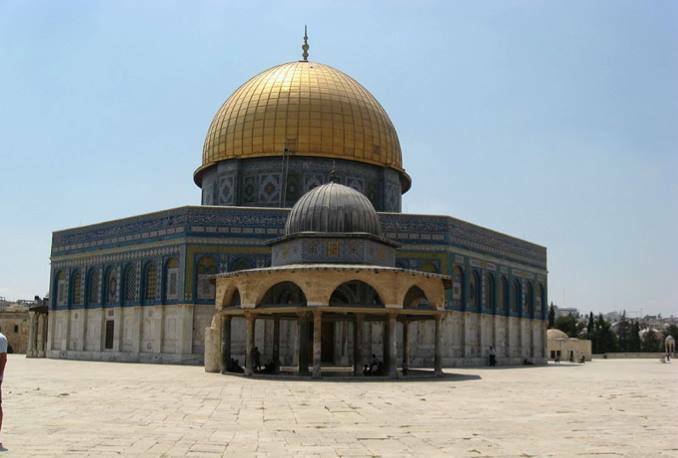 You are accountable before God, the people and the King for the situation prevailing in the country. Therefore, you are expected to engage in national efforts responsibly and in good faith in order to change the situation, without regard for any political or partisan considerations. This homeland belongs to all Moroccans, and all Moroccan citizens are entitled to benefit from progress and growth. As I invoke Almighty God’s blessings upon you, I want you to rise to the occasion and discharge your tremendous national duties, for the benefit of the nation and citizens.